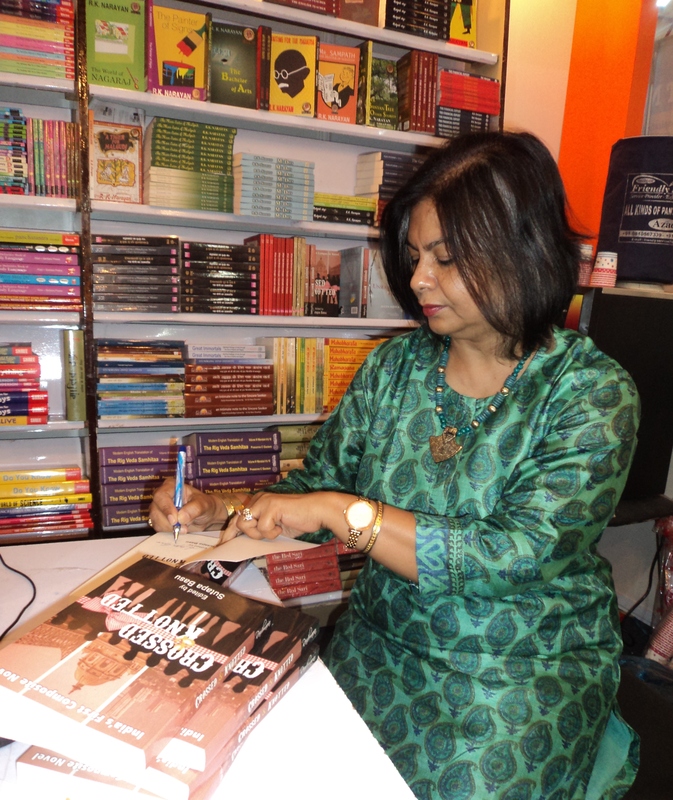 Hello Sutapa, welcome to Incredible Women Of India, Thank you for being a part of Incredible Women Writers of India, Monsoon Edition, 2015 and sharing your journey as a writer with us. First of all tell us something about your growing up years, your school and college days, and your family. I have been born, bred and married into the Indian Army and lived on army cantonments most of my life. I have studied in schools across India, passing out from Convent of Jesus and Mary, Ambala. I completed graduation with Honours in English Literature from Visvabharati University, Santiniketan and post graduation from HN Bahuguna University, Uttrakhand. I also hold a teaching degree from Maharaja Sayaji Rao University, Vadodara. Hopping from place to place has been an educative journey as I meshed with nuances of life lived in deserts, on mountains, wending through tea gardens, beside bubbling rivers and roasting on the Deccan. I have taught in schools while travelling with my husband in India and abroad and then spent 13 years as a publishing professional with two publishing MNCs. Presently, I am consultant to publishers and write. 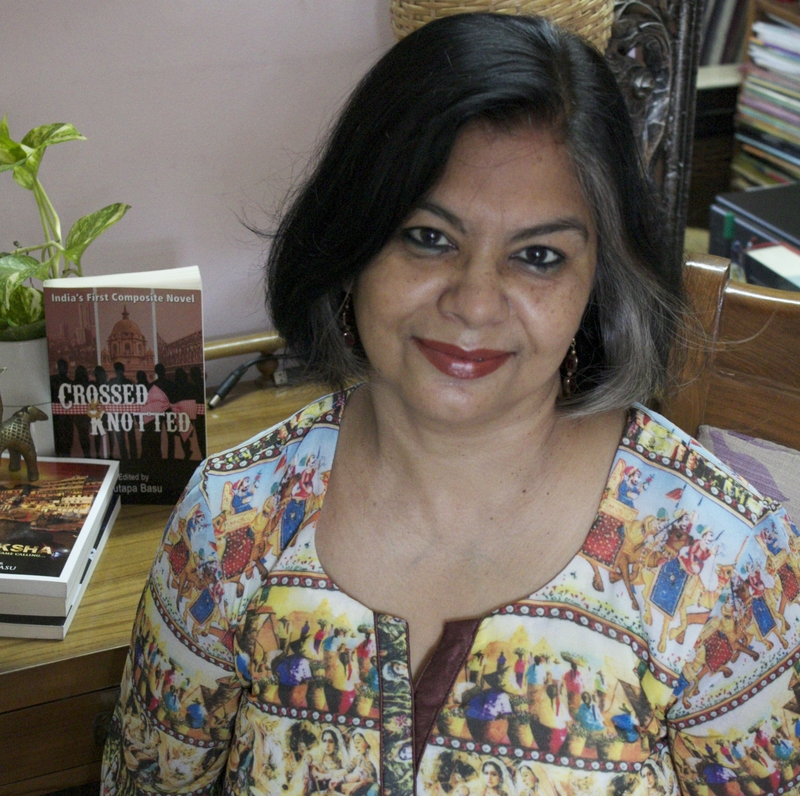 I live in Delhi with my husband, an ex- Army colonel. Within close proximity live my son, daughter, son and daughter-in-law and the light of my life, my grandson. I come from a family of articulate women who believe in carving their own niche. I have inherited the trait. Challenge is the spice of my life and I like trying out new things. Even if I make an incorrect decision, I go the whole hog. I am impulsive, passionate and thrilled by new ideas. How did your journey as a writer/poet begin? Stories and lyrics have been whispering in my head as long back as I remember. I think I wrote my first play when I was about eight years old. I happen to be a compulsive bookworm and loved reading what people have to say. When I was quite young, I realized that I, also, wanted people to read what I wanted say. Since then, I have been scribbling in dairies, on bits of paper, on the phone. But my serious writing started during my long drives to work and back in Delhi when complete stories or poems would jump into my head. I would reach office, plonk at the computer and punch in words as fast I could, before I forgot. My co-workers found me crazy. What are your inspirations? Who is your muse, if any at all? While reading is an inspiration, my muse is Life. I have been inspired by stories that abound around us, if only we bother to notice. Not just people but animals, trees, flowers, buildings, mountains, rivers, the sky, night, dawn, raindrops, seasons, fragrances speak to me. I listen and try to pen down their words. I don’t know if I succeed, but I try. I write because I cannot resist penning down all I hear around me. And I write because I want to tell people those stories and poems. Do you write full-time or part-time?Do you have a special time to write or how is your day structured?Do you write every day, 5 days a week or as and when? Till about 16 months ago I held a full time teaching and publishing job for 28 years. During that period, I stole time from my work to write. But now I write as and when the urge comes. Some days its full time writing and other days, I may be thinking out the storyline or lyrics in my mind. But I am so glad that I decided to leave a full time job to focus on my writing. What is the hardest thing about writing? What is the easiest thing about writing? Any writing rituals? The hardest thing about writing is when you can see the glimmer but it refuses to emerge into a full scale story or poem. The easiest thing is writing it down when the glimmer becomes a full-blown picture. Then my fingers on the keys don’t keep pace with my thoughts. No, I don’t have any writing rituals. Do you work to an outline or plot or do you prefer just see where an idea takes you?Have you ever hated something you wrote? I usually start writing when I have an outline but I am very flexible. If an idea deviates from the original outline, I go with it. Well, I make four or more drafts before the final version. So the first version is often something I don’t like. Do you ever get writer’s Block? And how do you get over it? Oh yes. And surprisingly, at times, it has been the computer screen that is the block. The flow of words just stop but the moment I move away from the machine, the words start coming. If there is long period of writer’s block, I just don’t write. Instead I read. I have evolved in a multitude of ways: in the matter of themes, layers of language, usage of words, expressions and oh! So many ways. And I am still evolving creatively, still learning. I don’t think that will ever stop. I am working on my debut novel. Do you read much and if so who are your favourite authors and poets / what are your favourite books? There are too many: Jhumpa Lahiri, Amitav Ghosh, Vikram Seth, Khalid Hosseni, Stieg Larsson, Phillipa Gregory, Ken Follet, Michelle Moran, Agatha Christie, Indu Sundarasan, Chitra DivaKaruni, Jeffery Archer, The Japanese Wife, The Kite Runner, The Fault in our Stars, First Among Equals, Equal Music, First Light, The Glass Palace and so many more. What do you think is the future of reading/writing in India? Very bright! 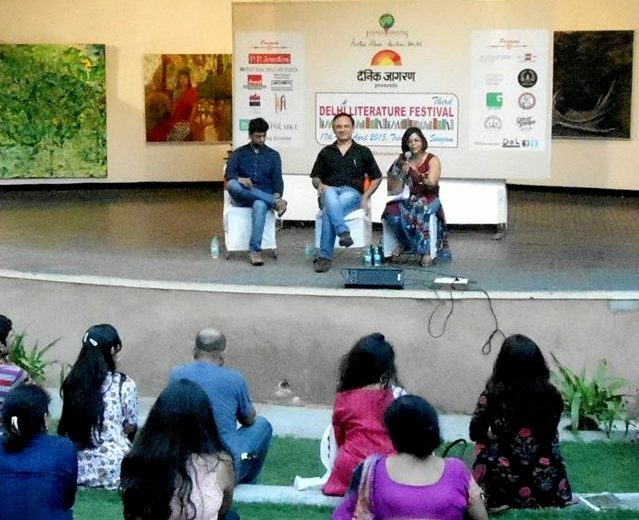 There is now a reading audience in India that is focussed on Indian settings, Indian themes and Indian ideas. And it shows up in the proliferation of Indian writers writing in English. And the funny thing is that many of these authors who are so Indian in their writing nuances have found quite a following beyond India as well. What are your other passions apart from writing? Reading, of course, as well as travelling, painting, interior decoration and watching films that make me think. What is your message for the readers of our blogazine? Always dare. Never fear. Just go there and get it! This is an excerpt from my short story in Crossed&Knotted, India’s First Composite Novel published by Readomania. Chotka, Kakima, his young cousin, and Sudip were about to start eating when the doorbell rang. His uncle got up and opened the door. ‘Yes?’ Sudip heard him inquire politely. ‘Can I come in?’ A familiar voice! Sudip nearly fell off his chair. Stunned he looked at the door as Megha entered. She looked furious. ‘I want to speak to your nephew.’ The tone was ominously quiet. ‘I am Megha Sarvarkar. I live next door. Your nephew is going to marry me!’ It was a calm announcement. Sudip was utterly taken aback. Never in all his short life had he come across such outrageous statements from anyone, let alone a young girl! Jumbled words and images flashed across Sudip’s mind with a repetitive refrain. Marry? When did I say that? What is she talking about? ‘Answer me!’ Her voice had risen. ‘Keep it open!’ snapped Megha. And, turning on her heel she marched out of the door. ‘Are you going to marry her?’ This last one was from his small cousin who was agog with excitement at this unexpected entertainment. Sudip pushed his chair back and ran upstairs, banging the door of his room. Tears of embarrassment and humiliation ran down his cheeks. He lay on his bed and kept playing the scene over and over in his mind over. Why did she have to come here and expose him in this way? So many times he had explained to her about his family’s strictures. While there was anger at her intrusion, a grudging sense of admiration underpinned it. She has the guts! She just said it… whatever she wanted to say, didn’t she? Yet confusion still clouded his thoughts. They had never discussed marriage. Why did she say that, then? By next morning his father’s words had been completely deleted from his memory. Overnight he had taken the decision. It is my life! I will live it as I want to, not as Baba-Ma or Chotka or anyone else wants! I will marry Megha when she completes BA. And why not? She is modern, smart and so daring! A new Sudip went down to breakfast. 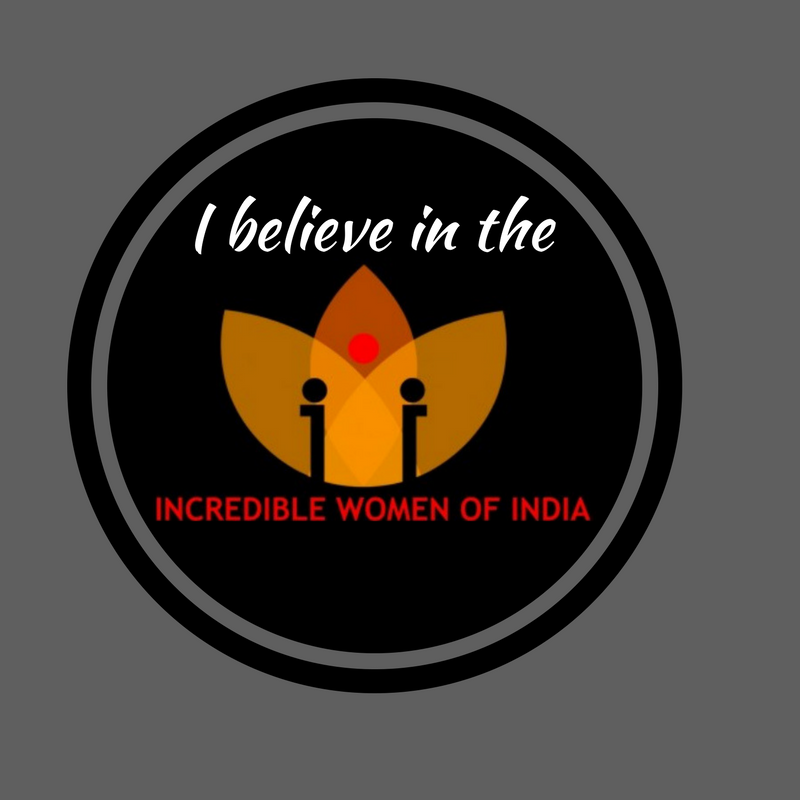 To know more about this INCREDIBLE WOMAN click on the following links. Please note that this interview was conducted online, via emails. Sutapa, I enjoyed going through your interview, and I find that we have so much in common, from our Army backgrounds to our writing! May you continue to do all that you love, and keep breaking new ground in whatever you do! Kudos, and God bless!